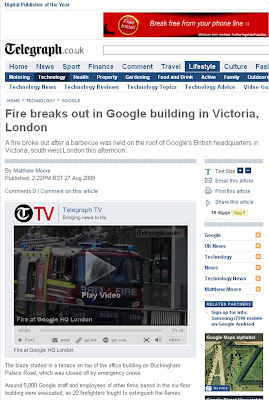 Google on Fire - but making the most of the ad opportunity! No-one at Google was hurt - I wonder how long it will be before this becomes a case study for contextual relevance and the power of the Google Content Network? !